It’s not every day that you get to stomp about in the rain, dance around in the snow, get lost in the fog and blown off your feet by the wind. And yet – controlling the weather is just one of the wide range of things we like to do here at Artem. 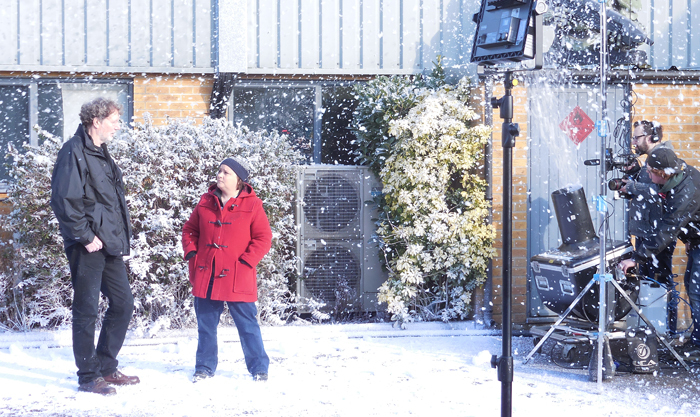 We recently provided weather effects for the current series of Call the Midwife, for example. 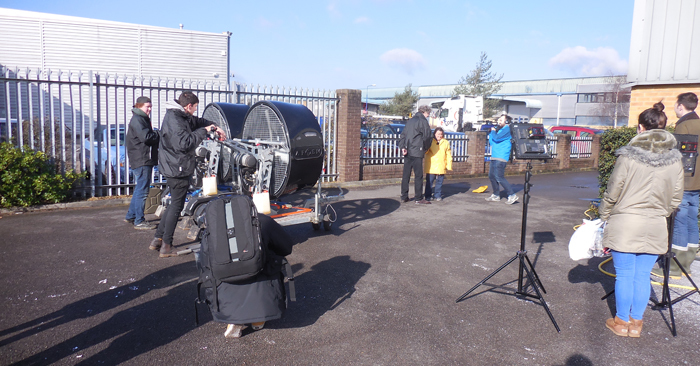 It’s always a pleasure welcoming visitors to our West London workshop, and a few weeks ago, we had the pleasure of welcoming the BBC to our West London workshops and demonstrating various weather effects to be shown on the new BBC2 show, Too Much TV. 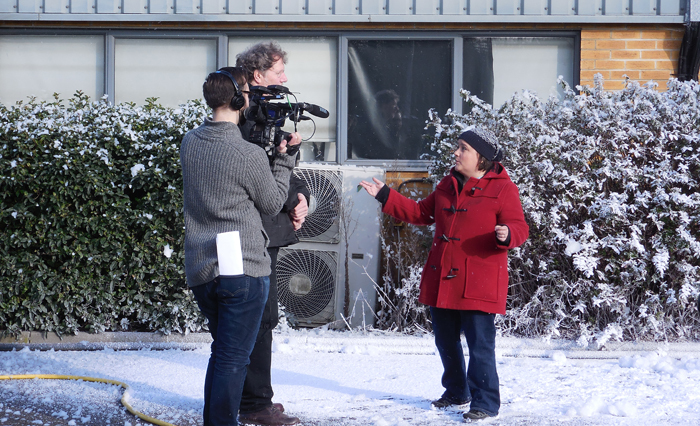 We spent the morning introducing the wonderful Susan Calman, a reporter for the show, to four different types of weather, and explaining how they are produced for film and TV. 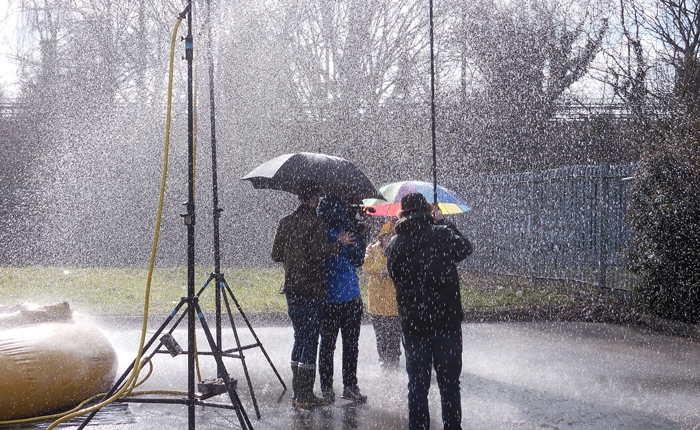 And, of course, not forgetting the rain! 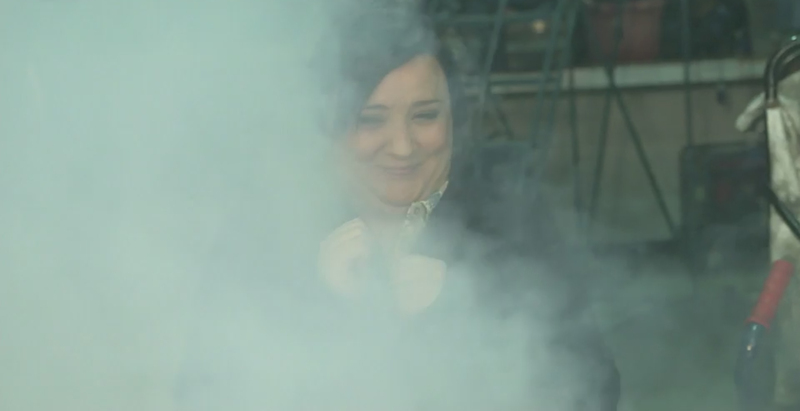 To see the final VT, check out the first episode of Too Much TV on BBC iPlayer!